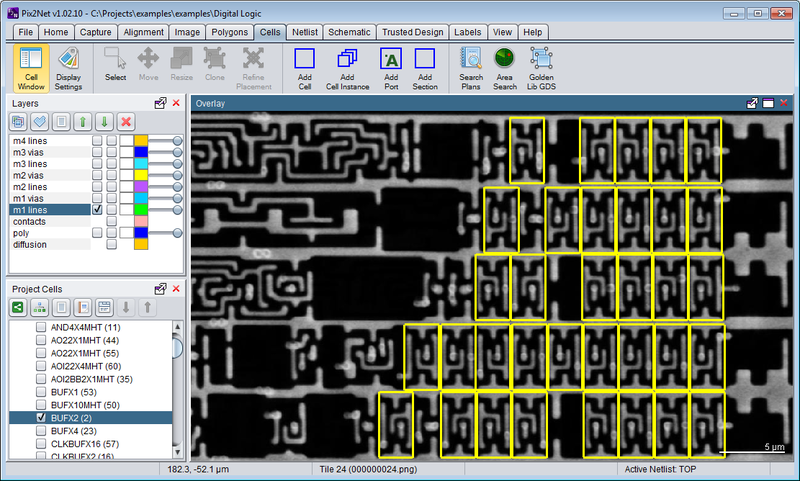 MicroNet Solutions, Inc. | Pix2Net Software Suite | Reverse Engineering | MicroNet Solutions, Inc.
Pix2Net Basic comes with a precision Nano-stage stage which interfaces to most SEM’s or optical microscopes to obtain very accurate large scale stitched mosaics which can be stacked and aligned. Multi-scale generation makes zoom in or out viewing very easy. Pix2Net Deluxe adds GDS II conversion, polygon editing and cloning features. Image filtering features allow for the he best obtainable GDS II layer. It also comes with very powerful neural network algorithms for pattern feature recognition. library cell identification, auto instance placement and Verilog, VHDL or SPICE net-listing. 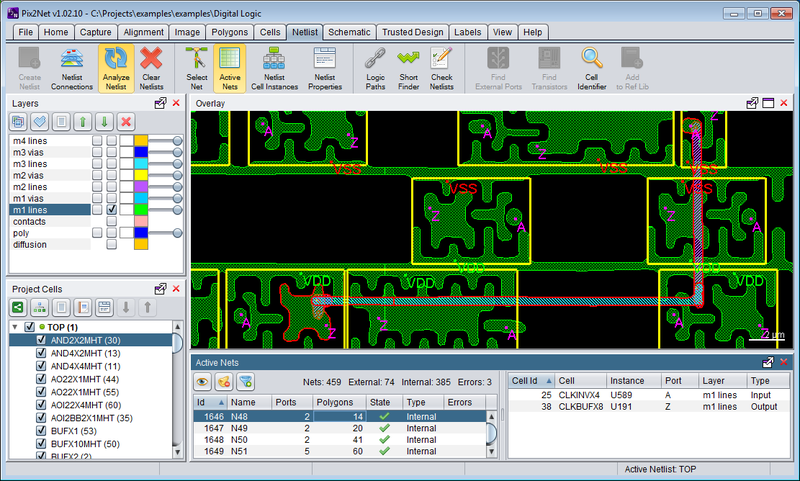 Schematics are automatically built up as the library cells are laid down. 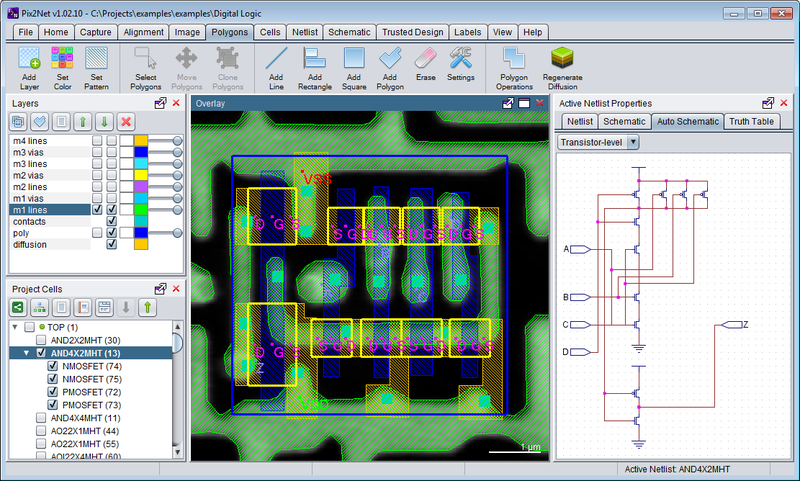 Pix2Net is MicroNet Solution Inc.'s ground-breaking reverse engineering technology. The MicroNet Solutions Inc. (MSI) Team has over 25 years' experience focused on rapid, state-of-the art, reverse engineering of complex integrated circuits. This cost effective solutions starts with MSI's Nano-stage, which is used for the capture and stitching of images using proprietary software to form a continuous mosaic layer. This novel Nano-stage can be interface with most modern SEM's. 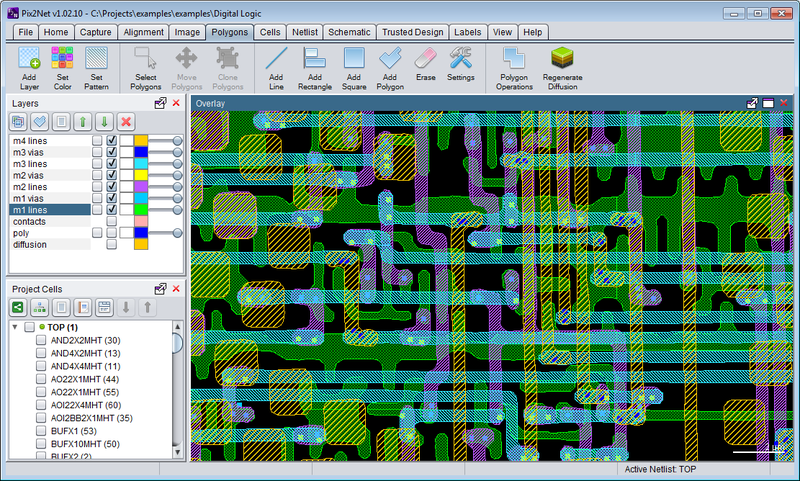 MSI has developed proprietary techniques and software to reverse engineer complex microcircuits and systems, allowing for complete extraction of functionality and microcode. Reverse engineering state-of-the-art microchips is very difficult at best given the small dimensions, density of transistors and number of metal layers (Billions of nodes of information to track). The Pix2Net Software Suite features a proprietary, software-guided stage allowing for accurate SEM tile extraction, and stitching for perfect layer alignment. 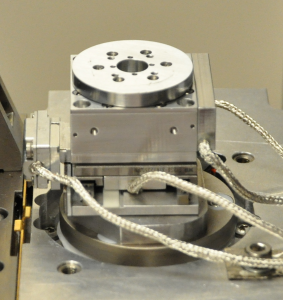 The GDSII-extracted conductive layers are accurately stacked and aligned for circuit connection.